This simple recipe creates the perfect addition for the frontline of your fridge and can add a kick to a range of different dishes. Experiment with what vegetables you add over and above the chilli and garlic and see what flavours work for you - or what needs saving! The length of time needed for the ferment can be longer if the room temparture is colder. Sterilise a glass resealable jar using using soap and hot water. 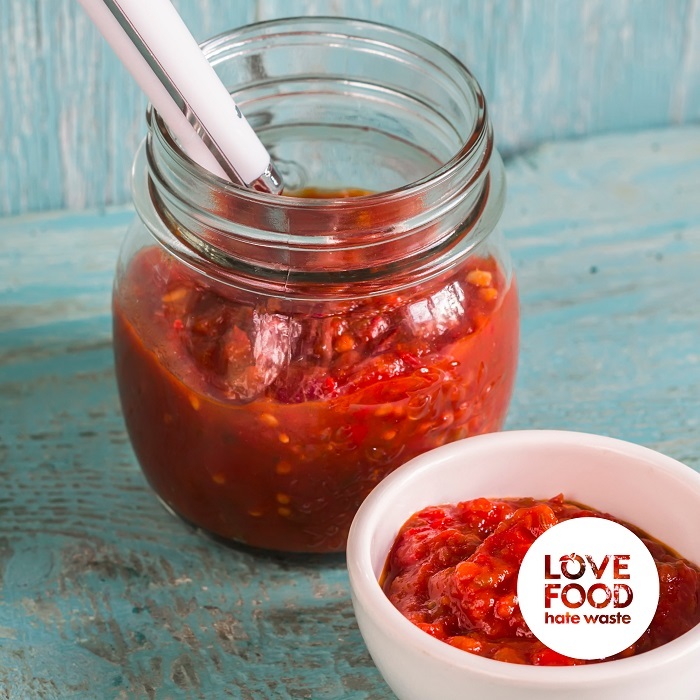 Cut the tops off the chilli and peel the garlic, place in the bottom of the jar along with the carrots, red peppers or other vegetables you have chosen to use for added flavour. Make your brine by stirring salt into the water until it has dissolved. You may wish to do this on the hob to speed up the process but ensure your brine is fully cooled before using. Store in a warm place out of direct sunlight for 2-3 days. Open the jar and stir the contents each day. Once the brine has gone cloudy and has a slightly sour smell, pour the ingredients out of the jar and blend until smooth. Siphon off some of the brine liquid depending on what you'd like the consistency of your hot sauce to be. Pour back into a jar or glass bottle and store in the fridge. Use as a condiment or to add extra flavour to pasta sauces.